How Can I Pay for Diabetes Medications and Care? This article is part of a series focused on helping people with diabetes navigate health insurance in the United States. What should we write about in our next segment? Email contact@diatribe.org with insurance questions you would like us to address! Navigating the complex insurance world can be frustrating and overwhelming, particularly for people with diabetes who interact with the healthcare system often. For this segment, diaTribe answers a commonly asked question from our readers: How Can I Pay for Diabetes Medications and Care? A background section with additional information on understanding health insurance can be found at the bottom. The primary way to pay for healthcare supplies and services is through health insurance, which can be obtained independently, through an employer, or from the government (e.g., Medicare, Medicaid, and VA). Covered services and supplies – as well as the type of cost sharing between the insurer and the person insured – can differ considerably from plan to plan (click here for more on different types of health insurance options and here for information on decoding insurance language). While health insurance typically won’t cover 100% of medical expenses, it can go a long way in making treatment accessible. However, co-pays and premiums can add up quickly and make care difficult to afford. This is especially true for people with diabetes, who tend to use healthcare services frequently and often use multiple devices and medications to manage their diabetes. The good news is that where insurance doesn’t cover health expenses, there are many other options that can help people with diabetes pay for medical services and prescription medicines. The Partnership for Prescription Assistance is a great starting place for finding payment assistance programs – click here to see if any options are available to you. Many pharmacies and non-pharmaceutical companies offer various coupons and savings cards programs as well, particularly for generic medications. You can view a list of these programs here. Free and Community Clinics can offer free and discounted care to eligible clients, and some even have contracts with drug stores that allow them to provide prescription medications at a reduced rate. Visit the National Association of Free & Charitable Clinics to find a nearby clinic. This list is not comprehensive, so it may help to also check Yelp or Google for additional locations. The National Institute of Diabetes and Digestive and Kidney Diseases (NIDDK) provides a list of programs offering financial help with kidney failure treatment. 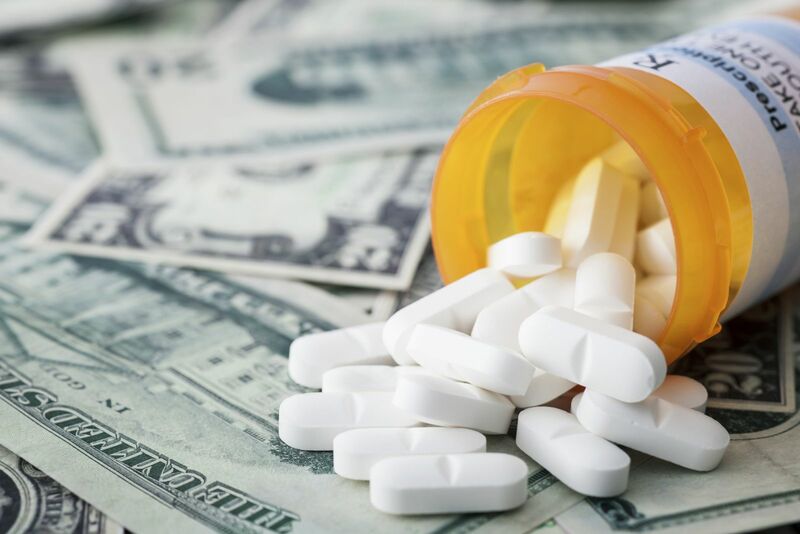 People on Medicare with limited resources can qualify for Extra Help, which is estimated to be worth about $4,000 per year in prescription medication costs. Medicaid and the Children’s Health Insurance Program (CHIP) can help cover the cost of prescription medications for uninsured and low-income individuals and families. Eligibility and other rules differ from state to state. The Department of Veterans Affairs offers a prescription benefit program to ensure that Veterans receive safe, effective medications. This article is part of a new series from diaTribe focused on helping people with diabetes navigate health insurance in the United States. What should we write about in our next segment? Email us with insurance questions you would like us to address! Health insurance can be divided into two main categories: public and private. Within these categories, however, there is huge variety in the cost sharing between the insurer and the person insured. Public: The government funds and administers public health plans. Medicare is the federal health insurance program for people who are 65 or older, or who have certain disabilities or end-stage kidney (renal) disease (also known as ESRD). Medicaid provides health coverage to eligible low-income adults and children. Individual states run Medicaid programs. An HMO (Health Maintenance Organization) typically has lower monthly premiums (fees) and lower out-of-pocket costs than other types of health plans. HMOs have a “network” of doctors, hospitals, and other healthcare providers that people on the plan must “stick to” in order for healthcare services to be covered by the plan – that is the tradeoff for lower out-of-pocket expenses. This type of plan also requires that users get a referral from a primary care physician in order to see a specialist. Out-of-network services, including physician visits, will likely not be covered by the HMO, with the exception of emergency services (emergency care out-of-network will never cost more than it would in-network). A POS (Point of Service) plan generally has higher premiums (monthly fees) and out-of-pocket costs than an HMO but offers more flexibility in the healthcare providers that people on this type of plan can see. With a POS, in-network doctors, hospitals, and other healthcare providers will cost less, but out-of-network doctors can still be seen if desired. Like HMOs, a referral from a primary care physician will be required in order to see a specialist. A PPO (Preferred Provider Organization) offers the most flexibility, but typically has higher premiums (monthly fees) and out-of-pocket costs. Any doctor can be visited without a referral from a primary care physician, and both in-network and out-of-network providers can be seen. The trade-off is that there will likely be higher out-of-pocket costs for out-of-network services. An EPO (Exclusive Provider Organization) offers lower premiums (monthly fees) and out-of-pocket costs, as well as direct access to specialists without a referral. However, the network of providers for an EPO is typically much more limited, and there are strict restrictions against using an out-of-network provider. Benefits: Payments that an insurer makes to cover all or part of the medical expenses of someone on its insurance plan, as determined by the plan’s specific terms. Premiums: The monthly cost of belonging to a health insurance plan (comparable to a monthly “subscription fee”). Insurance providers may modify these amounts based on a person’s age, family size, or tobacco use, for example. Some factors – such as gender or health conditions like diabetes – cannot legally affect premium amount. Deductible: The amount that a person must pay each year before health insurance plan kicks in and begins to pay for healthcare. For example, a $900 deductible means that the insurance provider won’t pay for anything except preventive services until a person has paid $900 (“met their deductible”). Copayment: Also called a “copay,” this is the part of a healthcare service that someone pays out of pocket after they meet their deductible. For example, visiting a diabetes educator may have a $30 copay for a $60 total visit cost. If someone has not met their deductible, they would pay the full $60 at the time of the visit; if they have met their deductible, they would pay only the $30 copay. Coinsurance: The share of healthcare costs that a person pays after their deductible has been met (similar to a copay, but based on a percentage instead of a fixed dollar amount). For instance, a person who uses an insulin pump, who has met their deductible for the year, and whose coinsurance is 15% would pay 15% of the total insulin pump cost, while their insurance would pay for the rest. If this person has not yet met their deductible, they would pay full price, up until the maximum out-of-pocket expense is paid or the deductible is met; then the coinsurance would kick in. Maximum out-of-pocket (also called out-of-pocket limit): The most a person with health insurance would have to pay for covered services per year – including deductibles, co-insurance, and co-payments. It is similar to a deductible in that the insurance plan begins to pay for all covered, in-network health benefits after a specific dollar amount has been paid by an individual. Claims: The formal request a healthcare provider files on behalf of a person who receives a medical service that asks their insurance company for a payment, according to the terms of that person’s insurance plan. Formularies: Drug lists that determine how much of prescription medicine costs are covered by an insurance plan. The lists are divided into tiers based on the co-pay for a particular medication (lowest tiers are the least costly, with the lowest copay; highest tiers are the most costly, with the highest co-pay). For more detailed explanations of these commonly used health insurance terms, check out the healthcare.gov glossary.